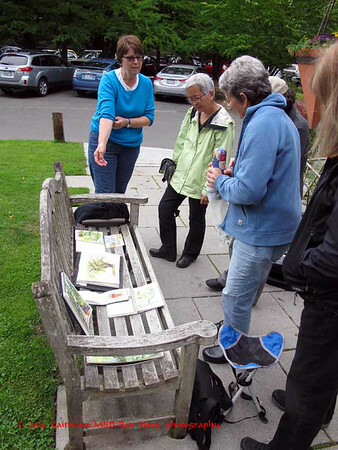 It was off and on sprinkles this morning as the ad hoc Friday Sketchers met at the UW Arboretum. 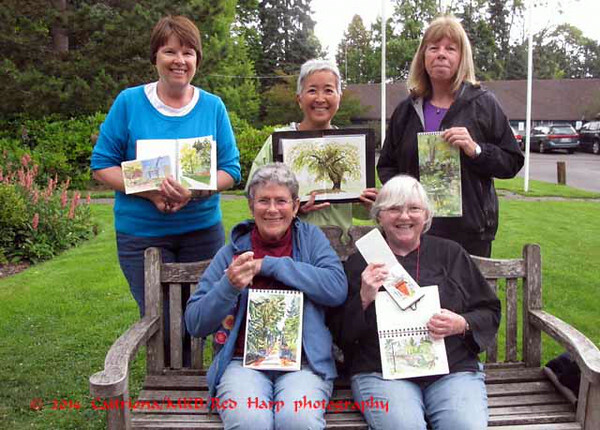 Five stalwart sketchers managed to mostly avoid the rain. 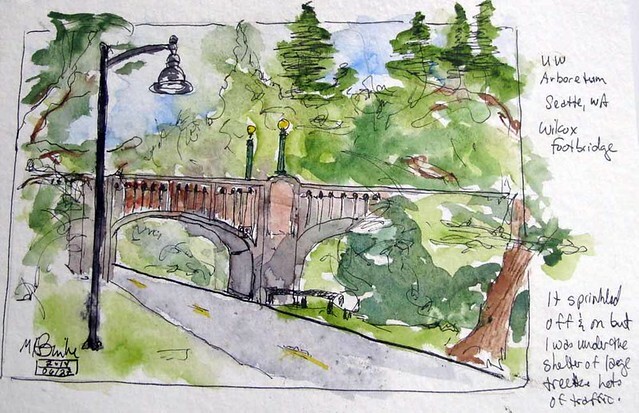 I think it was raining a bit as I sketched the Wilcox Footbridge. I sat under a large tree, which may have sheltered me from the drops. 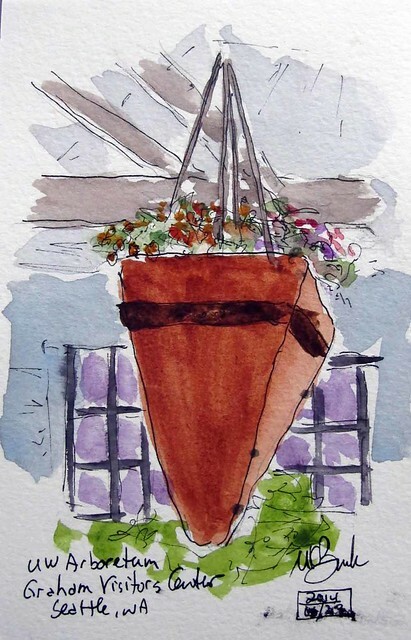 While waiting for the others to arrive for our sketch sharing, I quickly did a sketch of a planter on the patio of the Graham Visitors Center. This is a small sketch in the pocket Moleskine. ....and then posed for the group photo. 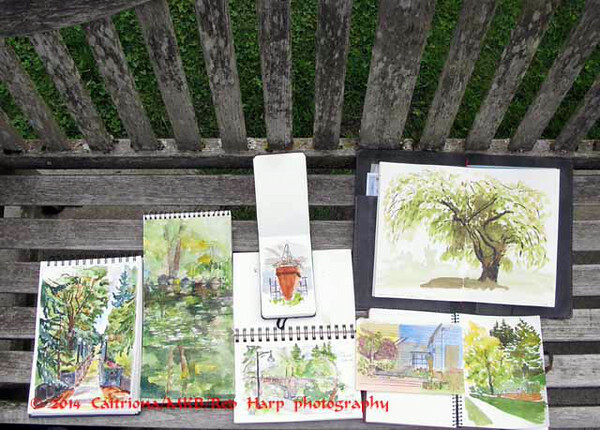 Nilda arrived late and didn't sketch, so she took the photo.